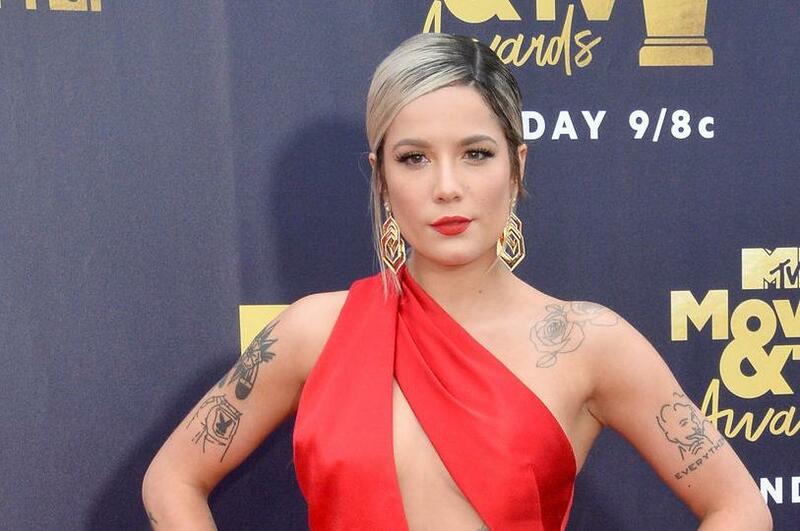 Singer Halsey posted on Twitter Tuesday photos of herself meeting with K-pop boy band BTS while in South Korea. The photos feature Halsey striking a pose with BTS and smiling while she prepares to perform in Seoul. [post_ads]"You know there was no way I'd come all the way to Seoul without seeing these guys. Can't wait to see them play Staples center!!! I'm HELLA proud," Halsey said alongside the images. Halsey is currently on tour in support of her second studio album Hopeless Fountain Kingdom. The "Sorry" singer first met BTS at the 2017 Billboard Music Awards where she gifted the group churros before they performed for the first time in front of an American audience. Halsey recently provided the voice for DC superhero Wonder Woman in animated film Teen Titans Go! To the Movies which arrived in theaters in July. The two-time Grammy nominee also made headlines in July following her split from rapper G-Eazy after a year of dating. Halsey was seen crying on stage in Michigan while performing "Him & I," ballad she previously sang with G-Eazy.